India 316 and 9-239 (Ravichandran Ashwin 83, Virender Sehwag 49, Steven Finn 3-37) lead England 523 (Alastair Cook 190, Jonathan Trott 87, Kevin Pietersen 54, Pragyan Ojha 4-142) by 32 runs. 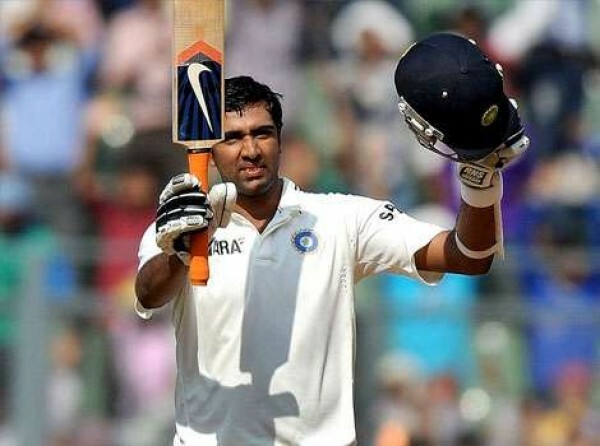 Ravichandran Ashwin fought against the lethal bowling of England as most of the top order batsmen surrendered and the visitors are marching towards another win. India managed 316 runs in their first innings followed by 239 in 83 overs for the loss of 9 wickets in the second. 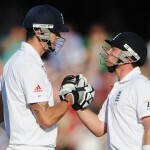 England gave a sterling reply by hammering 523 runs after playing 167.3 overs in their first innings. The fourth day of the third Test concluded on Saturday, December 8, 2012, at Eden Gardens, Kolkata. Earlier, England went into bat in the morning at 6-509 in 163 overs, Matt Prior and Graeme Swann were unbeaten for 40 and 21 runs respectively. The innings of the visitors was folded back in 4.3 overs with the addition of 14 runs. Prior added just one run to his overnight score and Swann went back at the same score as England gained a match winning first innings lead of 207 runs. Pragyan Ojha was the supreme bowler with four wickets, Ravichandran Ashwin held three whereas Zaheer Khan and Ishant Sharma shared one wicket each. Gautam Gambhir and Virender Sehwag provided a reasonable start to their team in the second innings. Both of them begun with a four each but the run rate was dropped later on and they reached 13 after the first six overs. Sehwag was dropped in the slips on the second ball of the next over that resulted in a four and was followed by another four on the next ball. He was the faster of the two as the hosts scored first fifty after 15 overs. Sehwag hit two back to back fours in the 20th over and Gambhir responded with 10 runs in the next over with 1 six and 1 four. The openers gave a solid stand of 86 runs in 21 overs when Virender Sehwag was clean bowled by Graeme Swann on the first delivery of the next over for 49. Cheteshwar Pujara was run out for eight runs after 12 runs were added to the total and Gautam Gambhir became the next victim at 103 after contributing 40 runs. Sachin Tendulkar once again let his side down when he was gone for five mere runs and that was the start of the disaster for India. They were reeling at 6-122 in 38.1 overs as the stumps of Yuvraj Singh were shattered by James Anderson for 11 and their skipper, MS Dhoni, was caught by Alastair Cook in the first slip off Anderson again for a duck. Virat Kohli and Ravichandran Ashwin tried to enhance the innings and kept on creeping. The duo started playing their shots and 150 of the innings was posted on board in the 52nd over with two fours from the latter. Virat Kohli was caught behind smartly by the wicketkeeper Matt Prior off Steven Finn for 20 runs. Zaheer Khan became the next victim at 159 without opening his account as Ishant Sharma joined in with Ashwin. The pair was sending the ball out of the fence at regular intervals and took the score to 197 when Ishant Sharma was clean bowled by Monty Panesar for 10 runs. 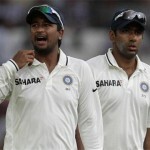 The last batsman Pragyan Ojha got together with Ashwin who achieved his third Test fifty in the 74th over with 2 fours. The latter dispatched another couple of fours in the following over off Panesar and kept the strike most of the times. 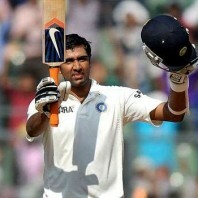 Ravichandran Ashwin taught the Indian batsmen how to bat on the Eden Gardens wickets by securing his end until stumps. He remained unbeaten for 83 off 151 balls with 13 fours and Pragyan Ojha assisted him well from the other side with 3 from 21 deliveries. India scored 239 runs with one wicket remaining in the second innings and has an overall lead of 32 runs. Steven Finn was the highest wicket taker with three Jamaes Anderson and Graeme Swann claimed two wickets each whereas Monty Panesar got one wicket. England is forwarding towards another grand win and Ravichandran Ashwin is the only obstacle who is in sight of his second Test century.